When last year’s Land Management Workforce Flexibility Act (LMWFA) passed in Congress, it was intended to help job advancement for seasonal workers like the firefighters NFFE-IAM represents, but the rules being considered by the Office of Personnel Management (OPM) would seriously undermine its intent. 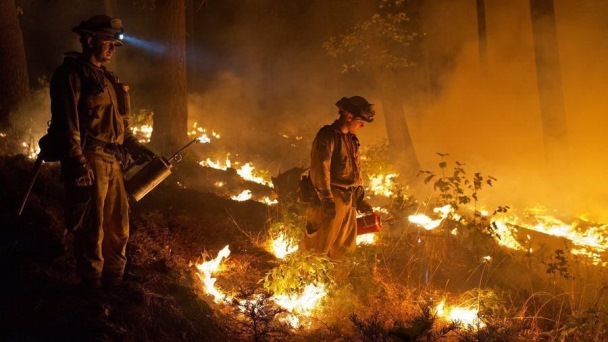 In a Washington Post article, Craig Utter talks about his 11 years of fighting fires with the U.S. Forest Service, where he is still considered a temporary or seasonal employee and is limited to 1,039 hours a year, just shy of the current minimum employment rules of six months at 40 hours a week. Often being dropped in by helicopter, NFFE-IAM firefighters work nearly non-stop in remote locations across the country during fire season. Many have worked for decades in this dangerous line of work but have been excluded for opportunities to advance. “Last summer I was in California for two weeks, home for two days, then to Missoula for a week, home for a week and then to Alaska for two weeks, home for three weeks then to North Carolina for a week and then Texas for a week and then back to Idaho,” said Utter, who lives in McCall, Idaho. The LMWFA was intended to help seasonal workers like Utter advance in the federal workforce, by allowing them to compete for permanent jobs, just like most federal employees. Regulations being considered by OPM would continue excluding workers like him. Members of Congress and the law’s sponsor, Rep. Gerald Connolly (D-VA), agree that OPM’s narrow reading of the law actually limits the positions to which seasonal employees may apply. “Of course, the congressional intent was to allow these seasonal employees to compete for vacant, permanent positions just like other federal employees,” said Connolly. The House Oversight and Government Reform Committee unanimously approved legislation to set the OPM straight.